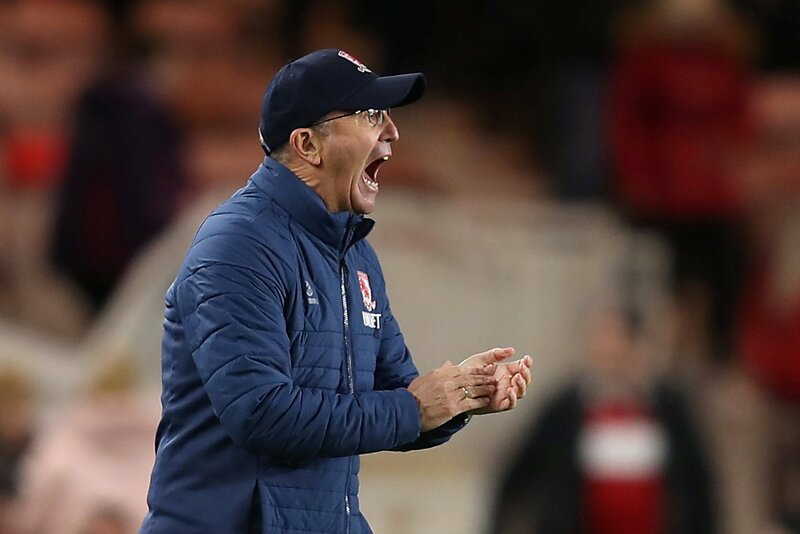 The pressure has been building on Tony Pulis over the last few weeks, with his side dropping out of the Sky Bet Championship play-off spots after a run of six straight league defeats. Boro, as expected, eased past relegation-threatened Bolton Wanderers on Tuesday night though, winning 2-0 thanks to a brace from Ashley Fletcher. It has been a difficult season for Fletcher – the former Manchester United man has had to bide his time and wait his turn to get into the side ahead of Jordan Hugill and Britt Assombalonga, but his patience paid off in midweek. Another striker at the club who has had a hugely difficult campaign thus far is Rudy Gestede, who has fallen massively out of favour under Pulis at the Riverside. The Benin forward has made just eight appearances this term, and is facing an uncertain future in the North East having scored just six goals in 49 games since arriving from Aston Villa for a reported fee of £6million in 2017. Gestede is currently Boro’s fourth-choice striker, and isn’t going to break into the first-team anytime soon. At the age of 30, the striker needs to be playing regular football as he approaches the final stages of his playing career. With another year remaining on his contract at the Riverside, handing in a transfer request would surely speed things up, no matter how immoral some people may view it as.